Today Huawei Consumer Business Group unveiled the HUAWEI P20 Series. The HUAWEI P20 Pro features the world's first Leica triple camera and both devices include unprecedented AI advances, combining technology and art to bring to life a groundbreaking smartphone experience. "We look for inspiration from artists to continuously evolve our approach to design and innovation," said Richard Yu, Chief Executive Officer, Huawei Consumer Business Group. "With a breakthrough triple camera on the HUAWEI P20 Pro, an advanced dual camera on the HUAWEI P20 and powerful artificial intelligence on both, today's most vibrant consumers can capture and share the brilliance of the world around them." * Ultimate performance, featuring the NPU on Kirin 970 and EMUI 8.1 based on AndroidTM 8.1. The HUAWEI P20 Pro features a Leica triple camera with the highest total pixel count on a smartphone - the camera configuration is comprised of a 40MP RGB sensor, a 20MP monochrome sensor and an 8MP sensor with telephoto lens. It also features an exclusive Leica color temperature sensor for better color reproduction. With f/1.8, f/1.6 and f/2.4 wide aperture to capture crisp, clear details, the HUAWEI P20 Pro also includes a brand new Leica 3x telephoto (VARIO-SUMMILUX-H 1:1.6-2.4/27-80ASPH) lens for long-range photography of up to 5x Hybrid Zoom. The HUAWEI P20 Pro's highly sensitive image sensor captures low light photos with up to ISO 102400. The HUAWEI P20 builds on its predecessor's foundation with a Leica dual camera featuring a 12MP sensor with a pixel size as high as 1.55 ?m, and a 20MP monochrome sensor, enhancing the HUAWEI P20's ability to capture photos in low-light settings. 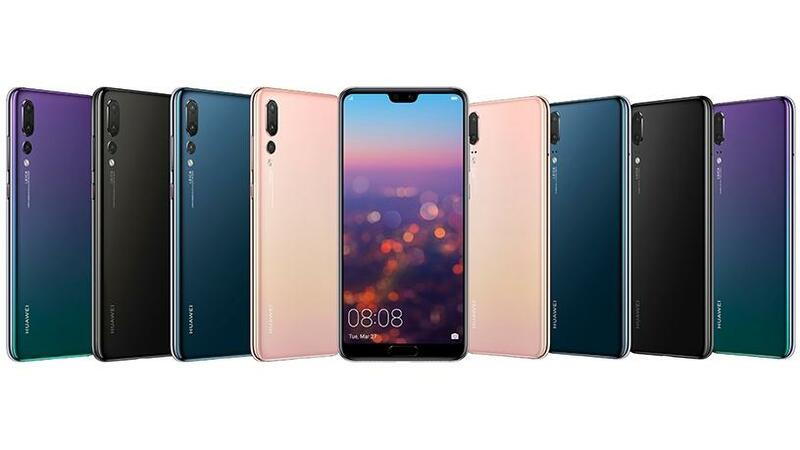 With the Kirin 970 processor, the HUAWEI P20 Series automatically identifies more than 500 scenarios in 19 categories, selecting camera settings to deliver professional-looking images. HUAWEI AIS steadies handheld night shots for incredible long exposure images without a tripod. Brand new to Huawei's advanced camera system is 4D predictive focus, predicting moving objects and focusing on them with extreme efficiency to capture minute detail. The HUAWEI P20 Series also features AI-Assisted Composition, providing intelligent suggestions to frame group shots and landscapes. Huawei also unveiled the PORSCHE DESIGN HUAWEI Mate RS. Continuing its collaboration with the exclusive luxury brand, the PORSCHE DESIGN HUAWEI Mate RS features Porsche Design's signature functional design language and Huawei's cutting-edge technology and craftsmanship, setting a new standard in premium smartphones. 1 Highest overall DxOMark scores in the mobile camera category - HUAWEI P20 Pro: 109; HUAWEI P20: 102.